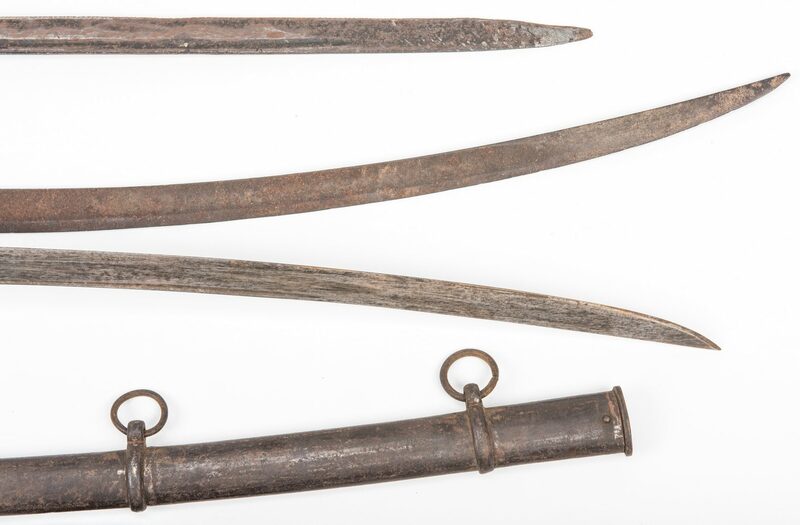 Five (5) Civil War era edged weapons including relic/excavated examples. 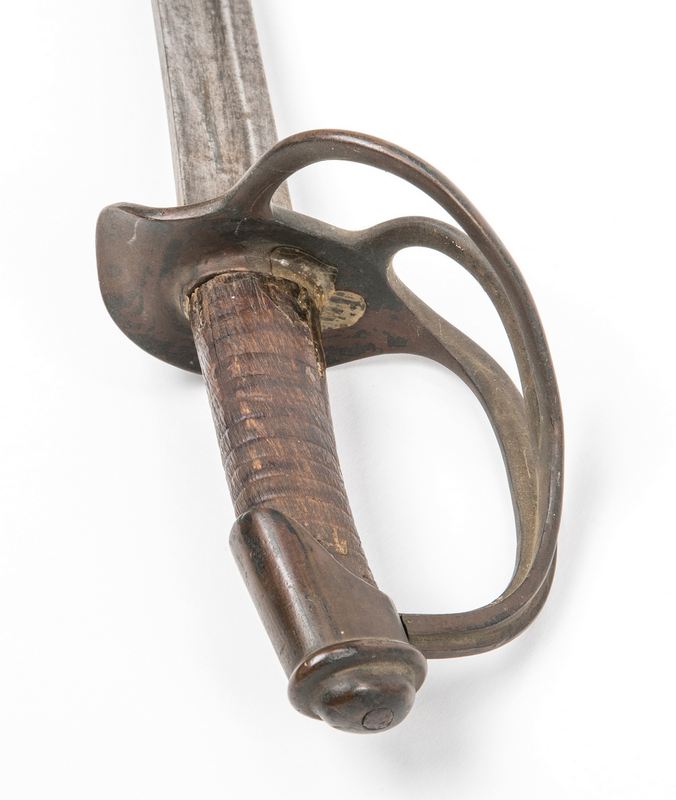 1st item: Model 1840 "wrist breaker" cavalry sword with iron scabbard. Steel blade, brass guard and wooden handle. 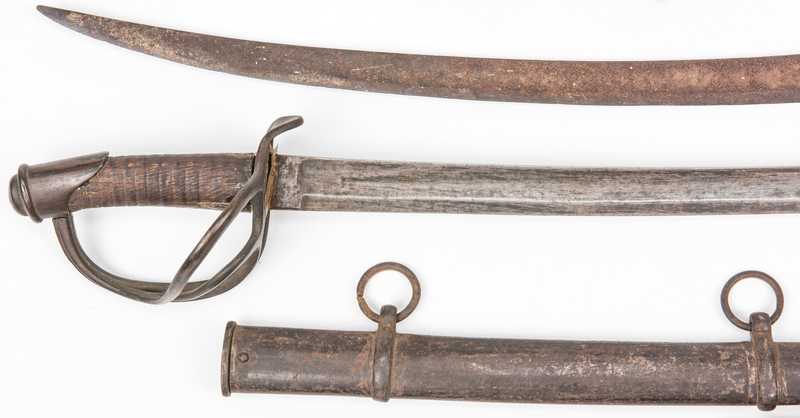 Scabbard with two rings. Blade length – 35". Overall length with scabbard – 43 1/2". 2nd item: Socket bayonet with curved blade. Includes printed tag reading "Given by Kate H. Fort to General A. P. Stewart chapter U. D. C. in 1911. Found on battlefield of Chickamauga, Georgia". Overall length – 26 3/4". 3rd item: 4 Side Star socket bayonet with straight blade. 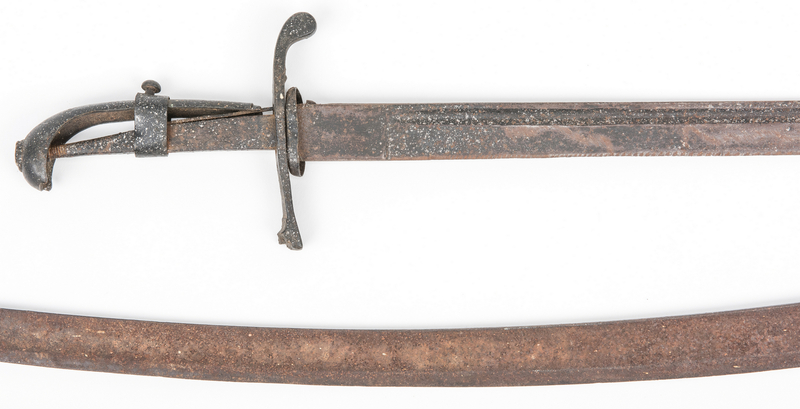 Includes printed tag reading "4 Side Star Bayonet Found in Tunnel Hill Campsite" (Chattanooga). Overall length – 22". 4th item: Handmade sword with curved blade and oval handle. Includes printed tag reading "Sword Found Among the Breast Works on Top of Rocky Face Mountain ca 1960" (Battle of Rocky Face Ridge, Whitfield County, GA). Overall length – 39". 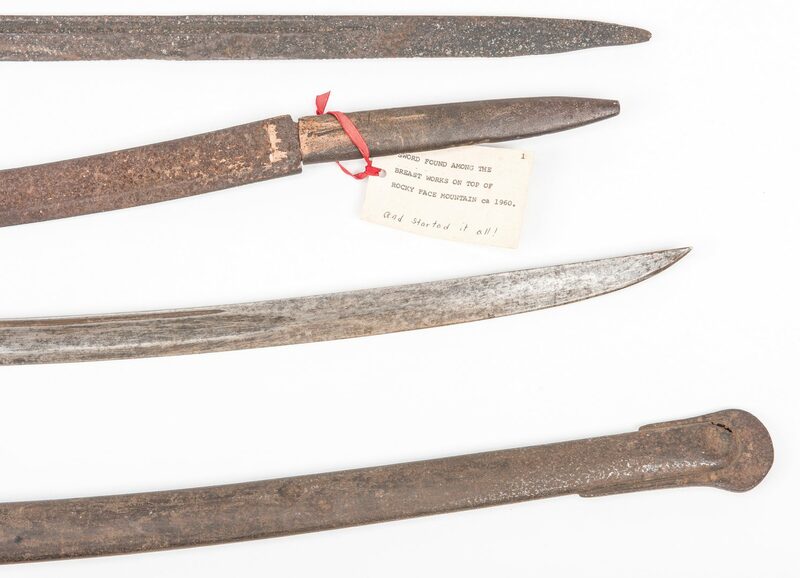 5th item: Handmade sword with partially serrated bayonet blade and guard and hilt. Overall length – 30 1/4". Provenance: Private Ringgold, Georgia collection; among items purchased in the 1960's from the old location of the A. P. Stewart Chapter of the UDC (United Daughters of the Confederacy), formerly the Nathan Bedford Forrest UCV (United Confederate Veterans) home, St. Elmo, Chattanooga, TN. CONDITION: 1st item: Relic condition with pitting to blade, traces of old glue repair to top of blade and handle. 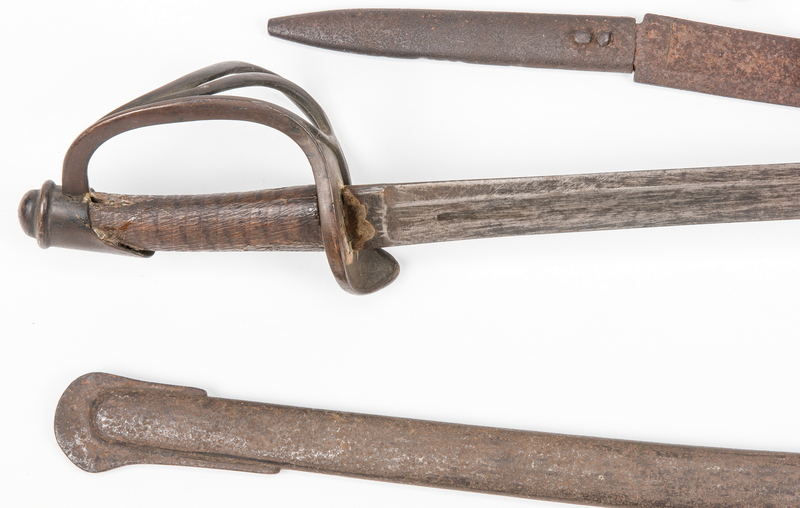 Rust to scabbard. 2nd-5th items: Relic condition with pitting, areas of rust.